Seven and a half years ago I was pregnant with our oldest. We had been considering purchasing a “fancy” camera and decided that before he was born was the perfect time to get it. That way we would be able to document his life with more than the dark, grainy, very low quality photos we had documented the first two years of our marriage with. The day our camera and lens came in the mail was beyond exciting! We had it in our hands, the power to take lovely, professional looking photos. We soon learned that fancy camera’s are not all that fancy when you only know how to shoot in auto mode. We also learned that all the gadgets, buttons, and features are more difficult to understand than we previously thought. It was at that point that Chelle, Ryan’s sister, took me under her wing and shared with me her photography knowledge. She taught me about shutter speed, f stop, ISO and when to change what to achieve the look I wanted. Chelle let me tag along with her to a couple of her photo sessions and all around helped me develop a love for photography! Throughout the years we have been able to photograph this wonderful family several times! We enjoy it every time! It’s fun to look back on all the different sessions we have done and see the changes from year to year. Kids just grow up way too fast! 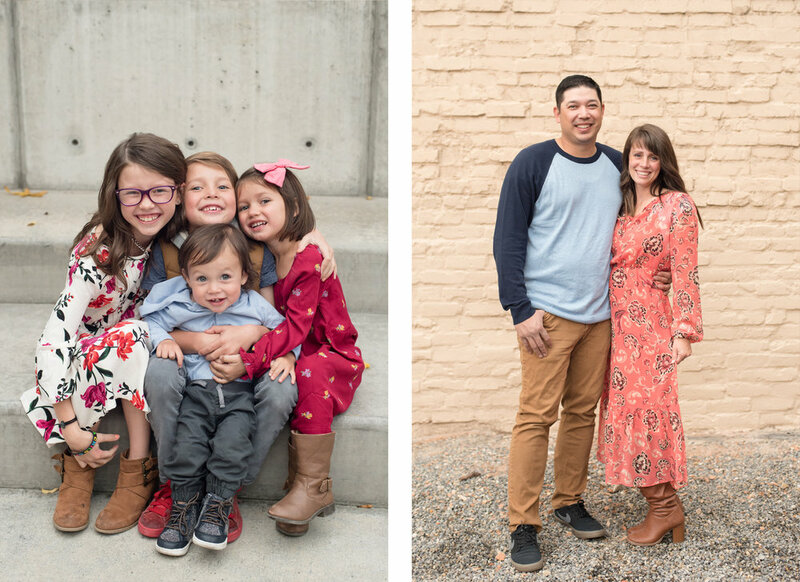 I will forever be grateful to Chelle for being my first photography mentor and for trusting us to capture their wonderful family year after year…and for being an awesome sister in law!